The E-Science GaP Valved Titan Effusion Cell generates a high purity P2 flux accomplished through the decomposition of the GaP compound. The Titan’s patented valve design has been adapted for low temperature operation that allows for near instantaneous changes in flux. There is a novel scavenger system built into the valve assembly which traps the gallium in the reservoir allowing only the P2 to exit the source. Applying our proven Titan Crucible Technology to the GaP source provides an efficient, pure, uniform and stable flux. Introducing the Titan Valved Effusion Cell for Ga and In evaporation. Users are able to instantly change flux through the use of a mechanical valve. 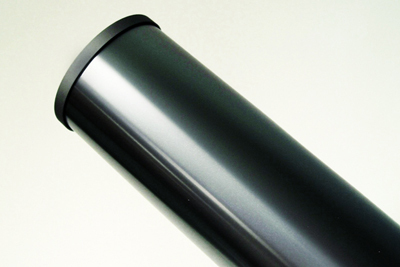 Excellent shut off conserves source material and reduces unwanted deposition into the chamber. Introducing the Titan LT Valved Effusion Cell for high vapor pressure materials. Users are able to instantly change flux through the use of a mechanical valve. Excellent shut off conserves source material and reduces unwanted deposition into the chamber. 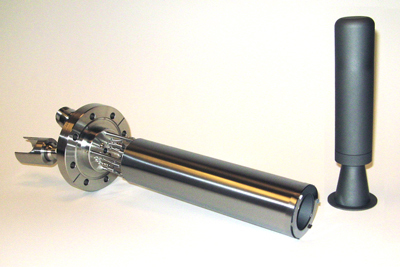 Introducing the Titan Valved Effusion Cell for the deposition of P2. Users are able to instantly change flux through the use of a mechanical valve. Excellent shut off conserves source material and reduces unwanted P2 deposition into the chamber. E-Science has developed an economical choice for a valved cracking effusion cell.